Hello world, this is Agafonov Viacheslav blog and my very first web log message. First of all, I would like to tell you that English is not my first language (Russian is. First, Ukrainian is the second). That is why you can find a lot of mistakes here, I want to apologies for them. Second, I started to make some notes a long time ago, but it was on paper or my phone and it was not consistent. Now, I'm going to write web log more regularly, furthermore I want to filling it with link juice and with right articles at the perfect place and just in time. Start to write something that is really important, but more important to do this skillfully and with high quality in a long term is more significant. I want to achieve many aims, too many by now. At the outset goals are: practicing in English writing, put best collection for my knowledge’s in one place, get feedback about thoughts and theories from commentators, save collection of great frameworks and tools for developers in the one place and discuss complex topics with audience here. Subject of articles are going to be: information technologies, web design, search engine optimization, search engine marketing, .NET Framework, ASP.NET, MVC Framework, .NET, Unit testing, Windows Workflow, TDD (Test Driven Development), web technologies (Web 2.0 and Web 3.0), Microsoft stack, Apple products, jQuery library, Licences, software development process, programming methodologies, interview questions, code merge and compare software, agile software, leadership, continue integration, best practices, OOP patterns, Java Script, SQL, C# language, Visual Studio 2008, Visual Studio 2010 tips and tricks plus much more. Advisory route (just to have it somewhere) how to blog. Blogging is fun and it makes money so we should blog all the time except when you’re angry, grumpy, sad, and hungry or want to sleep. Even if we are completely alone at our desk we can find out by asking the following question: would we like to shout or sneer at somebody for writing something? Flame and "religious" wars are pretty standard online because people get quickly alienated on the Internet in world wide web. What about IT and developers, which language is better, what is the best data structure to use, what is best test strategy, framework etc.? If you want to create holly war, angry or something like that you can take a break, go for lunch or a big walk. Blogging does not often work when we are in the bad mood or sad. For somebody sometimes it works, but often they don’t understand what they mean by the post afterwards. We can get quick traffic with a rant but often people who were our peers, fans or potential clients might get dissatisfied. Another reason and typical issue when we are working on the web are tunnel vision. We are so focused on getting things done fast that you just race like a rat. Again the solution here is pretty simple. Step outside and get some input from real life, sports activities, our family, and some friends. Be it the coworkers or even random strangers. We should not talk about the job, NET or project staff with them we only ask them how their business is going, it is just small talk. That’s often perfectly enough to receptive mind. Just by trying to imagine being in their footsteps we get open minded again. When we are sure that we can’t add any value to given news item or topic, don’t do it. Just regurgitating news everybody else has written about is not only boring it also scares away our regular readers. They won’t come back as often anymore, or they might even quit returning when they sense that we too often publish low-quality posts with no substance just for the sake of blogging. Wait until we find a unique angle, or we collect a few more similar resources to compile a list. Or just drop the idea altogether and wait for another one. Project management is not my cup of tea so writing about it would be rather guess work and low quality. What we can do of course is research or testing some project management software. We probably do that because we think we can improve project management skills but we won’t teach about it much because we are not skillful enough. We don’t have to be an expert to blog about something, but we need a certain amount of time to prepare then, or we invite an expert to speak on the topic. P.S. Make sure to blog when fresh and inspired. Morning is often a good time to blog. Don’t check emails first in the morning, just drink a cup of coffee and relax when you are writing you web log. Write a blog post instead. Reading too many emails can make you angry, grumpy and result in tunnel vision. 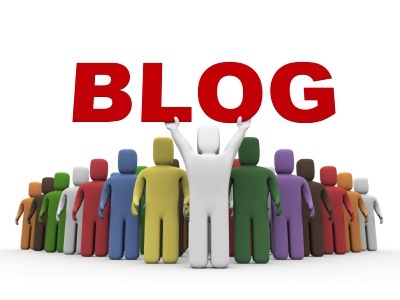 Write a few blog posts a week, with useful content, consistently. Then write some more. All free, all because you feel good putting it out there. It is nice if you blog more and tweet less because blogs are owned by you. They are easily found, easily linked to, and great conversations happen with great blog posts. The river of social media rushes on, and those conversations are long forgotten. A great blog post is forever. Today's real-time social media is quickly forgotten. Blog your opinion and cool project, or your latest useful function or library. Don't blog if it feels like work. Blog and get excited when someone comments. Often the comments are more fun and more useful than the post itself. Blogs don't sell books. Blogs don't get you a book deal. 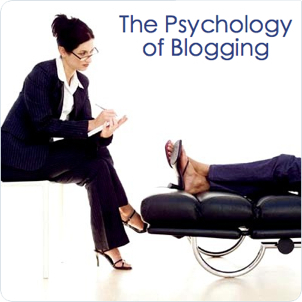 You should only be blogging if you enjoy blogging. Yes, it can be a marketing tool. But there is a lot of other ways you can get your name out into the world without blogging. See your comments, ideas here and thanks for reading. Why are you blogging? What were your first steps in blogging? How have you played on your blog? How have you experimented? What have you tried? What has worked and what has not worked? Congrats with a first blog message! This article just like crib. I put all most important features in one place. Also I put subjects that I'm going to discuss. What is your advices for bloggers first steps? There is actually plenty of blogging advice offered on the internet regarding what we will need to do in order to operate our blog successfully. If you've been thinking about assembling a blog with regard to your business, this blogging advice detailed below is designed specifically for you. Could you answer what was your first steps in bloggng? So many comments on this article "Entry point and first steps in blogging" means that should write more about this topic. Particularly good thank you, There's no doubt that your current readers might possibly want a whole lot more reviews of this nature keep up the excellent effort. Tremendously helpful thanks, I do think your current followers may possibly want considerably more items of this nature maintain the excellent content.